Alkamides are natural products formed by connecting straight-chain, mostly unsaturated, aliphatic acids with various amines by an amide linkage. More than 300 derivatives are known from eight plant families consisting of various combinations of 200 acids with 23 amines. Apart from a few saturated derivatives alkamides with unsaturated acid parts are grouped into compounds with purely olefinic patterns and those with olefinic and acetylenic linkages. Derived from C18 oleic acid the acid parts are modified either by chain elongations to C28 or by oxidative shortenings to C4 acid residues. Substrate and regiospecific desaturases and acetylenases are responsible for their characteristic patterns of unsaturation. Amine parts are derived from various amino acids by decarboxylation. Beside the widespread isobutylamines alkamides with six- and five-membered ring amines and those with phenylalanine derived amines are characteristic for the Asteraceae and Piperaceae while benzylamines are restricted to the Brassicaceae. 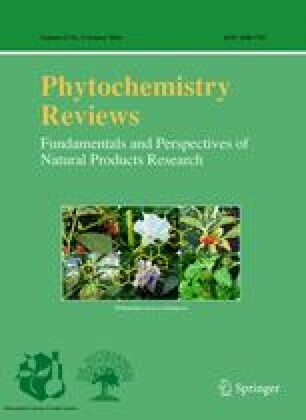 Within the Asteraceae 2-methylbutylamine distinguishes the tribe Heliantheae from Anthemideae characterized by ring amines. Alkamides with elongated olefinic acid parts are mainly found in Piperaceae and Brassicaceae while acetylenic acid parts are typical for Asteraceae. 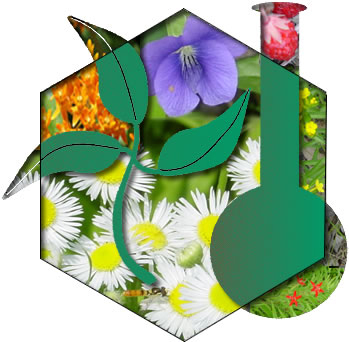 A wide variety of biological activities ranges from the characteristic pungent/tingling property and high insecticidal toxicity to significant antifungal, antibacterial, antiprotozoal, molluscicidal, cercaricidal, and acaricidal activity. They also act as plant growth-promoting substances. Position and stereochemistry of the double bonds are essential for the different qualities of the pungent taste. Medically alkamides possess anti-inflammatory and analgesic properties and are responsible for immuno-modulatory and cannabinomimetic effects. Dedicated to my teacher and friend the late Professor Robert Hegnauer, University of Leiden, The Netherlands.